I bought the Smoky Lake maple filter press which is who manufactures the summit PIG. Mine has 3 filter windows. We are extracting hemp at -10C and have limited fats while Still pulling chlorophyll. Using a 20micron paper with a DE/ AC cake, it removes all chlorophyll while leaving behind some residual AC. One more polishing filtration staging 10 and 3 micron papers with DE only it cleans it up to a nice yellow color. You won’t be disappointed. I bought the hand pump version to test it out and it works wonders. You can buy 20, 10, & 3 micron from smoky. Will be upgrading to more plates and a diaphragm pump eventually or a larger filter press system when we scale up. Do you still use the hand pump for the $1200 filter press? If not how do you move around the solution? Still using hand pump. We’re typically doing 15-30 gallons at a time. It will slow down eventually if you have a lot of fats etc otherwise it works fine and you get a little tricep workout. Is carbon not plug pump ? What ratio of carbon do use? And what sop for carbon for this particular press? We use about 4 cups AC and 4 cups DE mixed together in roughly a 3 gallon slurry of Etoh. Keep the intake and outtake hose in the slurry bucket and pump until most of the DE/ AC is in the press. 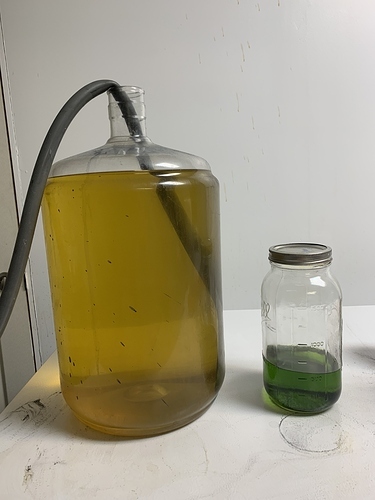 When the outtake slurry is coming out clear, move the outtake hose to your collection carboy and pump all of your solvent thru. The smoky lake people are real nice!! but they will not have support for cannabis related extracts. Their diaphragm pump is setup with the correct internals to handle alcohol and movement at cryo temperatures. OreganicIndustries how significant was your seepage through the plates? Was thinking, i have a small adjustable table top Hydraulic bearing press that would fit well over the plates.